Our orthopedics team gets you back in the game fast with the latest techniques. Marshall Medical offers minimally-invasive surgical techniques for fast recovery. 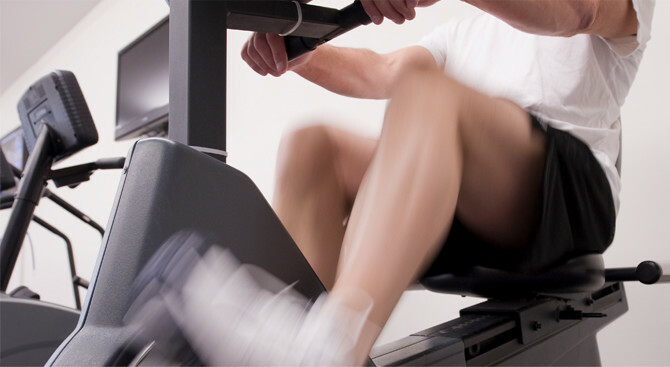 Joint repair and even full replacement can be done quickly, making recovery and rehab a fast, smooth process. We treat a wide range of orthopedic injuries and conditions, from knees and hips to shoulders and elbows. Joint replacements can restore mobility and independence, while improving your quality of life. For more information contact Marshall Medical, where you get maximum improvement in minimum time. 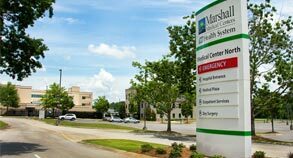 The Marshall Joint Academy is a coordinated care program that starts with a patient-focused treatment plan, and ends with the shortest possible recovery period. Joint replacements can significantly relieve pain and increase mobility in about 90% of people who get them. People with knees worn out by arthritis — which deteriorates cartilage in the joints — may live pain free after joint replacement surgery. At Marshall Medical our goal is to restore your optimal comfort — by decreasing pain plus increasing mobility and independence, while improving your quality of life. We believe you play an important role in your successful recovery. That’s why we involve you in every step of your treatment — from education before your surgery to exercises following your procedure. We encourage patients to try alternative treatments before deciding on joint replacement. These options include oral medications, exercises/physical therapy, and injections into the joint. If, however, you have exhausted all efforts of pain management and are considering joint replacement, our surgeons and staff are committed to providing lasting resolution of symptoms and return to normal activities. To sign up for the classes below or for more information, call the Joint Academy coordinator at 256.571.8615 or talk to your orthopedic physician. All patients scheduled for joint replacement at Marshall Medical are asked to attend a Joint Academy preoperative education class. Patients are encouraged to bring a “coach” to the class such as a spouse, friend or relative. Attendees will hear a nurse, physical therapist and care coordinator explain how to ensure a successful surgery. These experts will offer suggestions to help at home, what to bring to pre-admission testing, what to expect from the day of surgery until you are discharged to your home or to rehab. 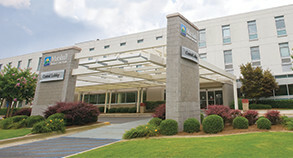 First Tuesday of each month at 10 a.m. - 29 Medical Center Lane, Suite D, located behind Marshall Medical Center North. Click here for a PDF map and directions. Second Tuesday of each month at 10 a.m. in Dr. Matthew Smith’s office, just past Marshall Medical Center South at the corner of Corley Street and US Hwy 431. Third Tuesday of each month at 6 p.m. in the Marshall Professional Building (next door to Marshall Cancer Care Center). Fourth Tuesday of each month at 10 a.m. in the Marshall Professional Building (next door to Marshall Cancer Care Center). Pain and stiffness. Most people who need joint replacement have severe pain that makes it difficult to walk, climb stairs, get up from a chair or carry on with other normal activities. The pain is also chronic, lasting at least six months, according to a spokesman for the American Academy of Orthopedic Surgeons. Poor quality of life. It's not only pain itself that matters, but how the pain affects your daily life. Do your joint problems limit what you can do? Do they affect your mood? Bone damage. X-rays and other imaging may show severe joint damage from osteoarthritis or other conditions. Non-surgical treatment failure. Medication, injections or devices – such as a walker – aren't helping enough. Deformity. Your knee is severely swollen or your leg is bowed.